As the capital both of Italy and of the ancient Roman empire, Rome comes, of course, first in our list of favorite sights in Italy. Colosseum. Photo by David Iliff. 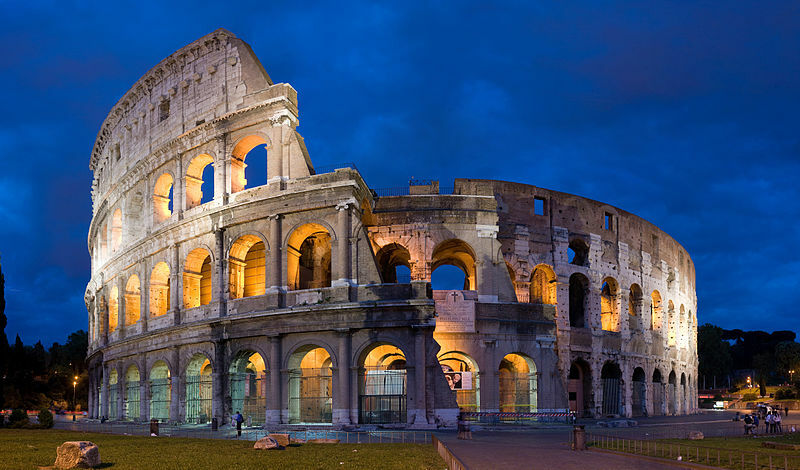 One of the most famous historic monuments is probably the Colosseum, the ancient gladiator’s stadium where all staged fights were taking place. The second most important monument is St. Peter Basilique in the independent city-state of Vatican. St. Peter Basilique is the seat of the Pope, head of the Roman Catholic Church. Piazza di Spagna – Spanish steps. Photo by Jean-Christophe Benoist. Piazza di Spagna, with the iconic Fontana della Barcaccia, is also worth a visit. The imposing Spanish steps of Piazza di Spagna offer a wonderful oversight on the center of Rome. 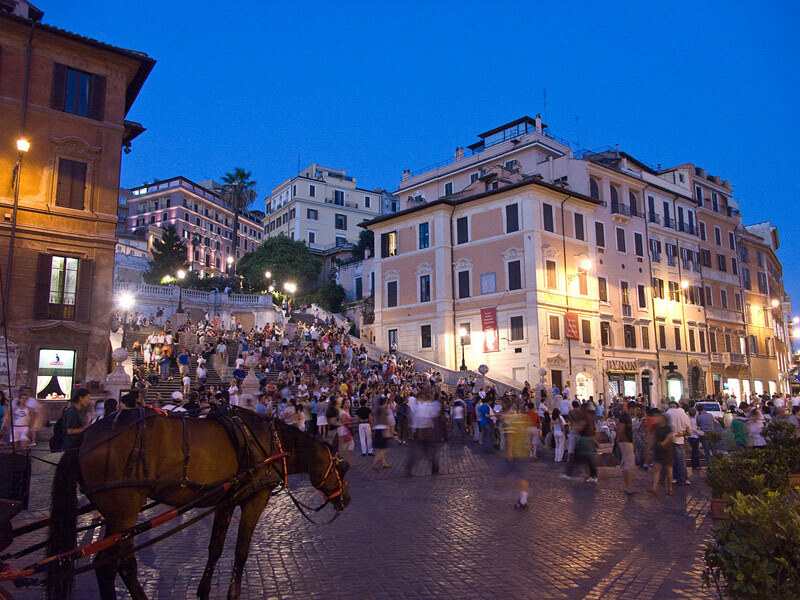 At night, we suggest you go for a walk at Piazza Navona, in the area around the Trevi Fountain or in Trastevere. 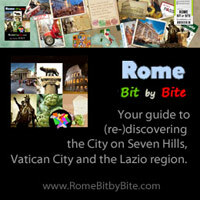 Read more about Trastevere. 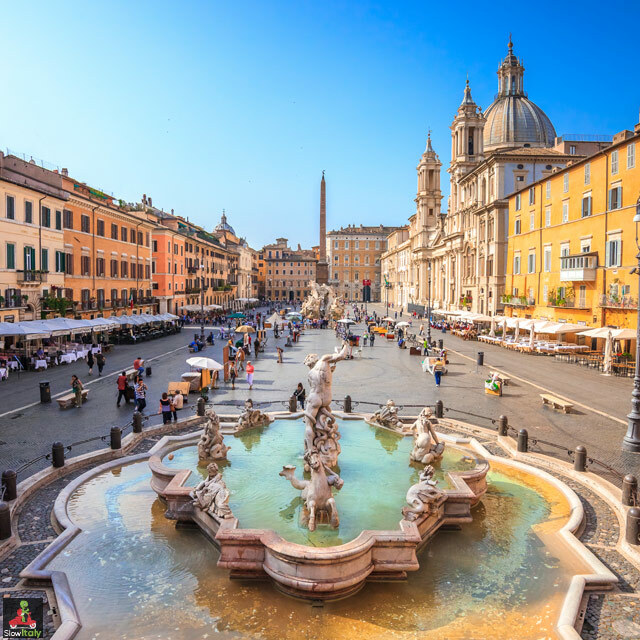 Piazza Navona hosts some of the most beautiful fountains of Rome, which contain the sculptures of Gian Lorenzo Bernini. 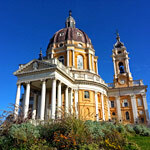 Worth seeing is also the façade of the church mastered by Francesco Borromini. The piazza was built on the site of a somptuous ancient Roman stadium. The outline of the piazza corresponds to the interior of the arena, where musical venues and athletic and equestrian contests called the Agoni Capitolini were held. 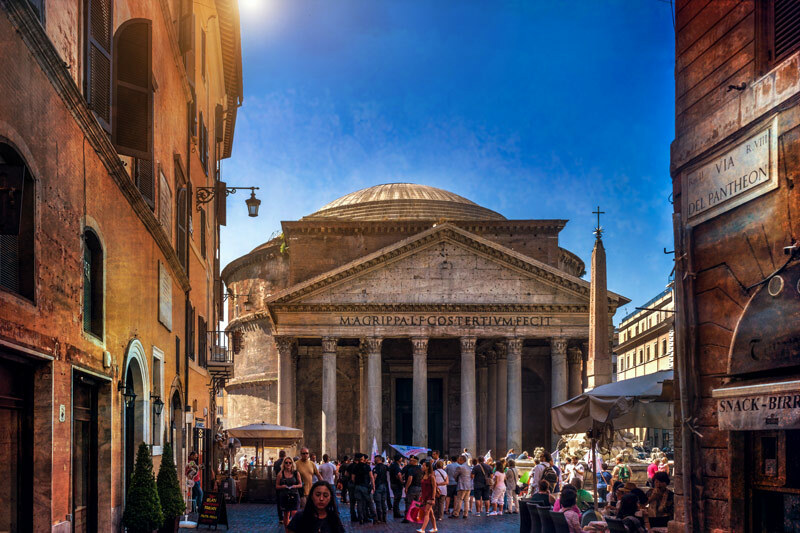 To conclude – as we are merely suggesting some highlights here – we suggest a visit to the Pantheon, one of the oldest temples of the Roman age, which has been re-used throughout the centuries as the tomb of the most prominent Italians. The area around the Pantheon is a very lively and atmospheric, a lovely place to hang out and have a drink or grab a bite. Pantheon, Rome. Photo by Luc Mercelis. 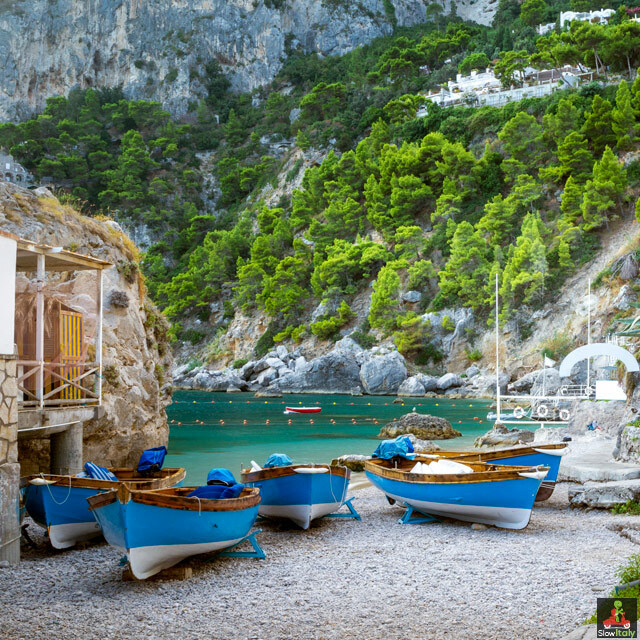 Combining Rome sightseeing with a trip to the picturesque island of Ponza. 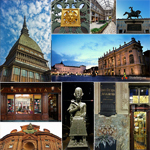 Florence flourished during the Renaissance as the symbol of elegance, art, culture and architecture in Italy. Two of the most important places to visit in Florence are probably Piazza del Duomo, with the Basilica di Santa Maria del Fiore and the adjacent Giotto’s Bell Tower, and Piazza della Signoria, the latter being one of the oldest market squares and a wonderful place where you can admire some of the most beautiful Florentin architectural achievements, such as Palazzo Vecchio. 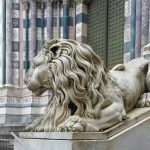 Historically it was the political center of the Florentine Republic, while Piazza del Duomo was the religious one. 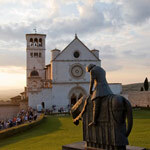 See: Top 10 most beautiful piazze in Tuscany. 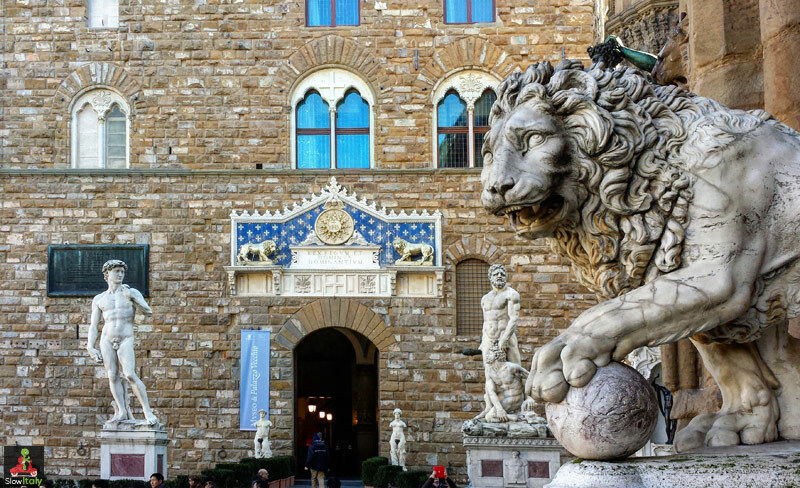 Once there, we recommended you go to the Uffizi Gallery, located in Palazzo degli Uffizi, a palace designed by the famous architect Vasari for the Medici’s family, where you’ll find some of the most famous paintings by Leonardo, Raphael, Caravaggio, Titian and Giotto. Ponte Vecchio, which crosses the Arno river, is famous for its collection of small jewelry shops and other small art and crafts shops. Opera lovers should include a visit to Florence’s new opera house, one of the most modern opera houses in the world. See also: Top 10 movies filmed in Florence. 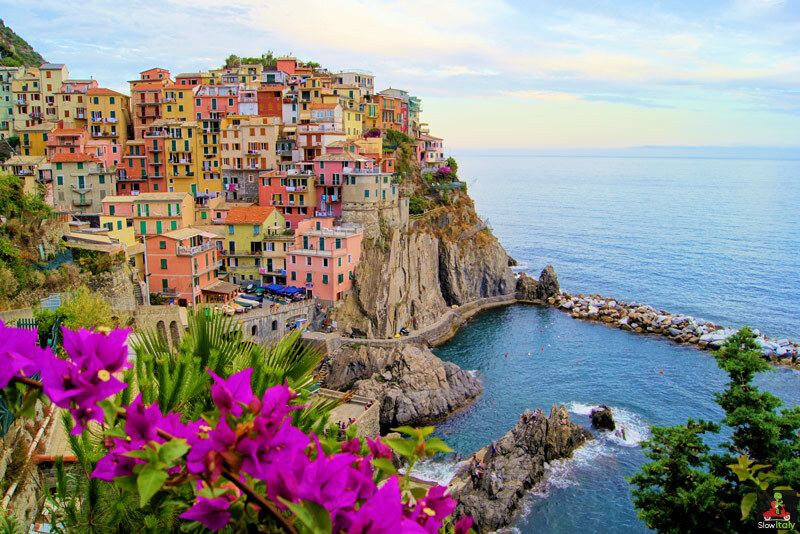 A popular tourist destination, Cinque Terre (literally: the Five Lands) is a set of five perched villages linked together along a short stretch of cliffs on the Itaian Riviera: Riomaggiore, Manarola, Corniglia, Vernazza and Monterosso. 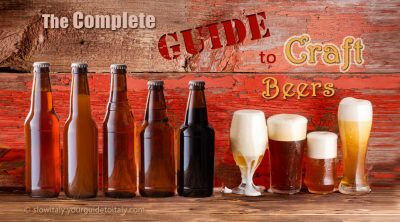 Corniglia is the only one set up the cliff, away from the water. 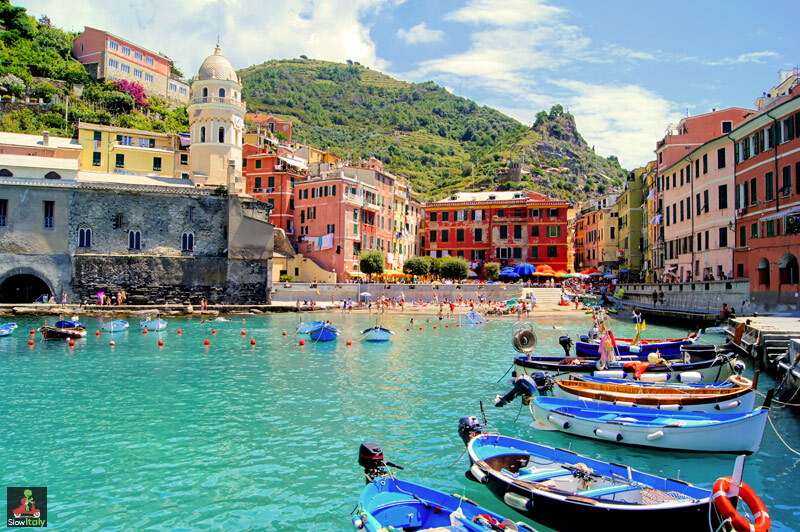 Vernazza is maybe the most charming one, with its colorful houses, fortified tower and church clustered around a well-sheltered harbor. The five villages and the coastline are a UNESCO World Heritage Site. 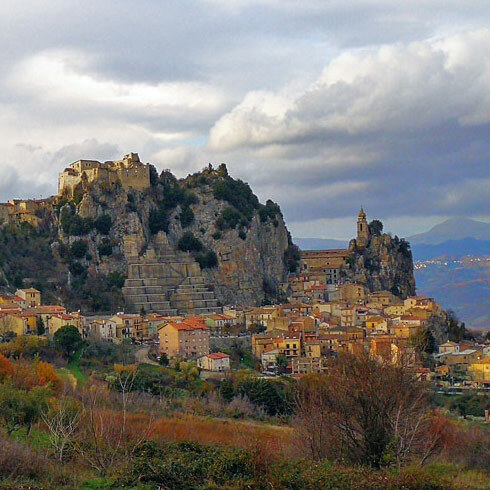 A panoramic hiking trail, known as the Sentiero Azzurro (“Light Blue Trail”), connects the five villages. 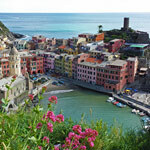 The trail from Riomaggiore to Manarola is called the Via Dell’Amore (“Love Walk”). The stretch from Manarola to Corniglia is the easiest to hike, although the main trail into Corniglia finishes with a climb of 368 steps. 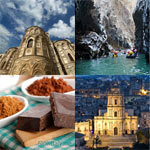 See also: Cinque Terre, a photo and foodie tour. The city is built on a lagoon, filled with canals, with no roads for cars. A very poetic and romantic place filled with history and art, known for its San Marco square, its Carnaval, its gondolas and its many bridges and magnificent palaces. Contrary to popular belief the best time to visit Venice is not necessarily during the Winter Holidays as the city can be covered by fog during the cold months which takes away much of its magic. Best time to visit is during the Carnaval or during Spring. Carnival of Venice: history and meaning behind the different Venetian masks. The ideal destination if you want to take a break in a mix of culture, elegance, wonderful nature and a breathtaking rocky coast. The coast is best visited during the off-season to avoid the tourist crowds. The first villas built on the Amalfi coast date back to the Roman age, but throughout the centuries different cultures have settled in this unique corner of Italy. 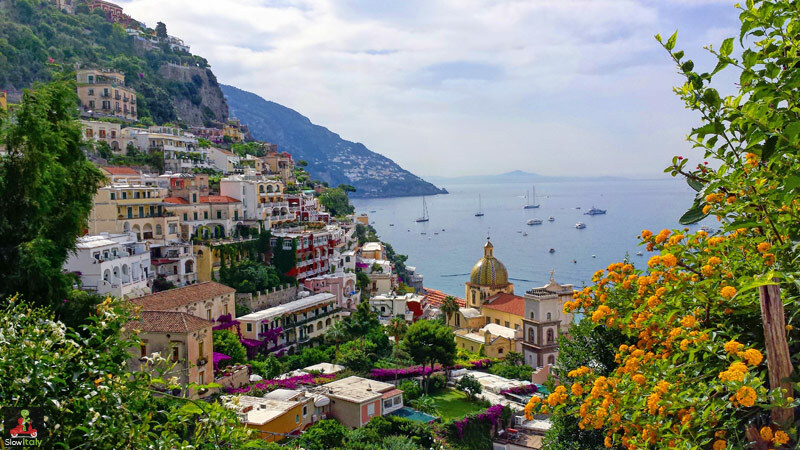 Amalfi’s most flourishing period occurred between X and XIII centuries when it was one of the four Marine Republics ruling Italy (the other three being Genoa, Pisa and Venice). 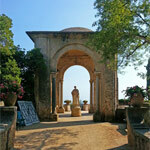 Places to visit are the Cathedral of Amalfi, Ravello and Positano. Despite its notoriety as a tourist trap, one cannot deny the beauty of the scenery of this “Garden of Eden”, once the home of emperors, seat of monasteries and (still) place of exile. From the north of the Island you can see the Vesuvius and the Bay of Naples. Capri enjoys constant sunshine and there never seems to be in low-season. 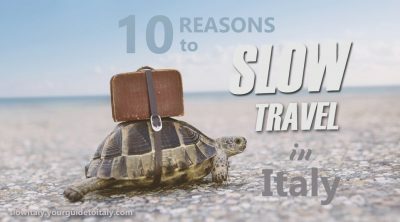 See also: three islands in the Gulf of Naples and Italian islands.